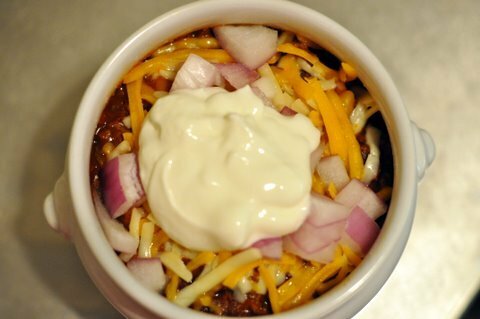 We have found this Chili recipe to be a staple in our home as soon as the temperatures start to drop. 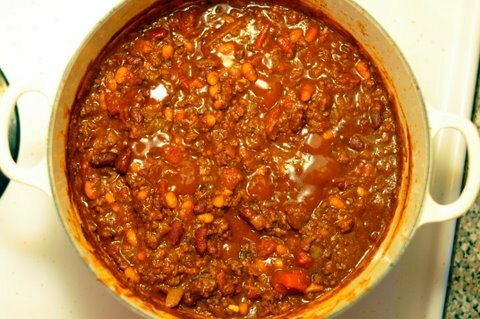 I think everyone has some kind of Chili that they prefer, but my family has landed on this one. You can make it as spicy as you would like…the chipotle chilies in adobo sauce are what give this Chili a kick…remember that as you start to add them! Very simple and easy fall recipe. -Place beef in a large heavy bottom sauce pan or dutch oven. Over medium-high heat, brown the meat. When the meat is browned, add the garlic, onions, cumin, chopped chilies and chili powder. Saute for 3 minutes until onions are partially cooked. Add flour and combine well. Add remaining ingredients and simmer 30 minutes until liquid has thickened (I allow mine to simmer at least an hour, to really have the flavors blend…but 30 minutes is more than fine…if it becomes to thick, add beef stock to thin). Taste and adjust with salt & pepper. We usually serve this in our Apilco Lion Head soup bowls, available at Williams-Sonoma. I just love the shape of them, and they make this Chili seem very important! 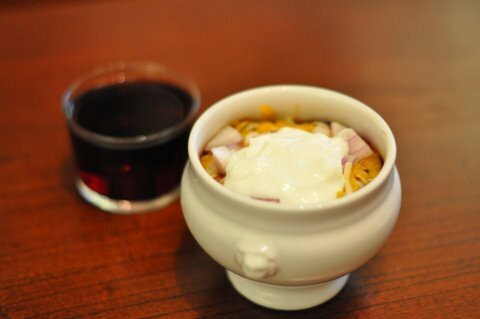 Be sure to garnish the top of the chili with what you desire. We usually have red wine to enjoy with it. Enjoy!